Container gardens offer homeowners a beautiful way to add decorate touches to outdoor living space such as patios, porches and decks. Planting a container garden is simple for even the least skilled gardener. Any container can be used to plant a small garden, provided the pot has proper drainage and adequate soil. Let's look at how to plant a container garden. Evaluate the area where you plan to place your container garden to assess the amount of sunlight. Each type of plant has particular needs regarding exposure to light. Shade plants cannot tolerate sun, and partial-sun plants require 4 to 6 hours of sun each day. 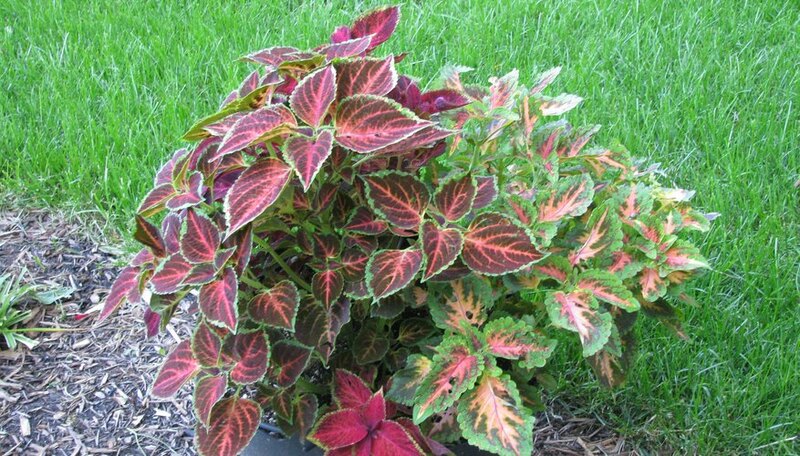 Purchase plants that meet the sun requirements for your area. Choose plants of varying heights to create depth and interest in the planter. For example, green spikes add dimension to a container when paired with lower-growing annuals such as marigolds or petunias. Flip the container upside down to check the bottom for drainage holes. If necessary, puncture 3 to 5 holes in the container bottom using the screwdriver and hammer. Proper drainage prevents root rot and allows the minerals in water to leach out the bottom of the planter. Fill the container two-thirds full of potting soil. Position your plants in the container inside their plastic pots to determine which plants look best in which position. Plant the rear plant first. Squeeze the plastic container to loosen the roots, and grasp the plant at the stem base. Wiggle the plant free of the pot, and press your fingers into the roots to loosen the soil. This allows the roots to grow outward instead of back into the root ball. Create an indentation in the container with the trowel, and place the plant into this hole. Proceed in the same way with all the plants, placing each one in succession into the planter. Fill in around each plant with potting soil, pressing around each plant to firm the soil. Add dirt to the pot until the level reaches 2 inches below the container rim. Water the planter thoroughly for the first two weeks, until the container garden becomes established. Container gardens require more water than in-ground plants because water drains freely out the bottom of the pot. Fertilize container gardens with an all-purpose fertilizer every 2 to 3 weeks to keep them blooming throughout the growing season.